If you’ve been in a supplement store lately, you’ve probably seen many different types of protein powders. Some of the most common types of protein are whey protein and plant-based protein, including soy protein. Why choose soy or plant based protein? Many people choose a plant based protein over whey because it’s lactose free, is easier on their stomachs, or because they are vegan. Soy protein has been a commonly mass produced plant-based protein. It’s included in many packaged food products as well. Many cereals and granola bars that boast “high protein” on their packaging are usually using soy protein as its main source because it’s inexpensive to use. However, some people wonder if soy protein is actually good for them. There have been some studies and many nutritional experts warning about mass produced soy products. Since soy protein comes from soybeans, there’s a very high chance that it contains GMOs since as much as 93% of the United States soy crops are genetically modified. GMOs can impact gut health leading to possible health problems. Soy protein powders are also often heavily processed, removing the little nutritional value it does have. GMO soy contains phytoestrogens, which mimic estrogen in the body. Although phytoestrogens from certain foods can be healthy, the phytoestrogens from soy are linked to increasing risk of certain types of cancers. Although studies on soy are not totally conclusive, it might be best to steer clear of soy protein. If you want an alternative to whey protein, go with a plant-based protein free of soy. The best type of plant based protein powder is a soy free protein powder. 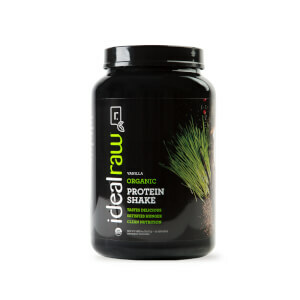 IdealRaw Organic Protein contains no soy, is non GMO, is dairy free, vegan, and USDA organic certified. IdealRaw gets it’s protein from seven different plant-based protein sources including coconut, brown rice, chia, sunflower, golden flax, pumpkin, and pea protein. It’s naturally sweetened and contains nothing artificial. 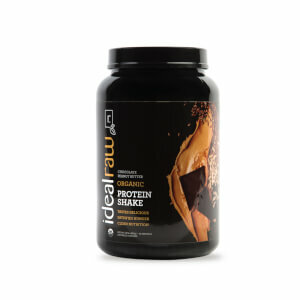 IdealRaw Organic Protein is a soy-free protein powder and a healthy alternative to whey protein. You can use it to build lean muscle, satisfy cravings, and get the protein your body needs for optimal health, worry free! Does Organic Vegan Protein Have Special Benefits? 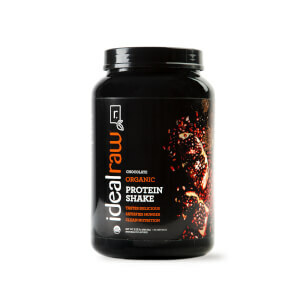 Why Should I Use a Soy Free Protein Powder Like IdealRaw Protein?